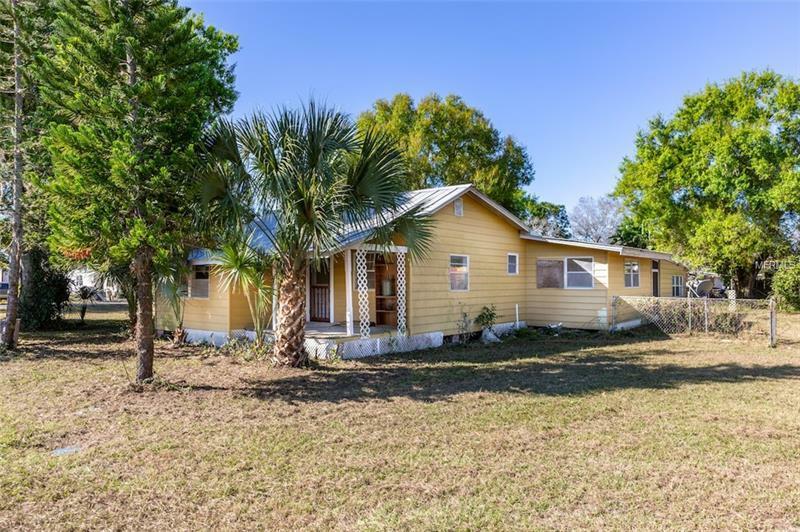 This completely remodeled four bedroom, two bathroom home offers you plenty of space on a large double corner lot just outside of the city limits. This home features a large screened in porch, fenced in yard, 2 car carport, and more! When you enter the home through the screened porch you will be greeted by the beautiful brand new laminate flooring that runs throughout the home, new ceiling fan, and the vaulted ceiling of the living area. The kitchen features a bar overlooking the living area and allows you plenty of counter space as well as an eat in kitchen and built in pantry closet. Your large master bedroom features a walk in closet, ensuite, and private access to outside. There are three other spacious bedrooms which allows you room for family and guests! Your spare bathroom features a shower/tub combo as well as a double vanity. Newly installed is a water heater, 4 ton air conditioner, recessed lighting, and ceiling fans. The plumbing and electrical have both been updated. This home is brand new from top to bottom and its beauty shows!